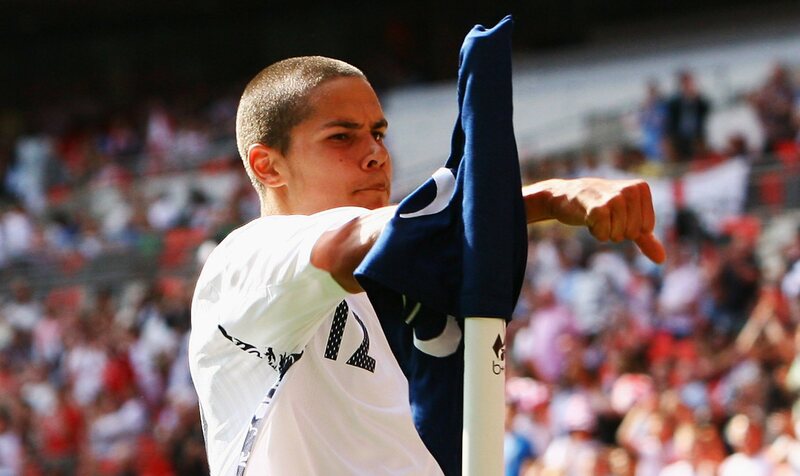 Everton have named 16-year-old defender Jack Rodwell in their squad to face AZ Alkmaar in the Uefa Cup tonight. The former England under 16s skipper, who can also play in midfield, is tipped to become the next Rio Ferdinand (a backhanded compliment you might say). The youngster is said to be strong, quick and have excellent composure on the ball. There were some great goals scored at the weekend â€“ Fernando Torres touch of class from the sub’s bench and Ronaldo’s finish from an exquisite Tevez pass come to mind â€“ but we’re suckers for an overhead kick. As requested, here’s Roo’s wonder goal that announced him to the world. He was just a few days shy of his 17th birthday at the time â€“ scary. I didn’t think Clive Tyldesley’s voice could go any higher, but it goes off the scale here, like some parodic, Spitting Image version of himself. Yet another nomination from Pies reader Chringle. There’s definitely an element of shitness to this one, but I see where he’s coming from. Personally, I think Mikel Arteta looks more like a Mediterranean Michael Vaughan. Craig Gardner won the match for Villa, but Dean Ashton is now a doubt for England after picking up a knee injury. Crissy Ronaldo (Â© Pies) pounced early in the second-half to give United victory and keep up with Arsenal. Everton keeper Stefan Wessels finished last night’s Carling Cup victory over Sheffield Wednesday looking like a cross between Bjorn Borg and Mr Bump after a collision with former Toffee Francis Jeffers. Emmanuel Adebayor scored a hat-trick and Cesc Fabregas stole the show as the Gunners hit top gear. Everton striker Andy Johnson might not be able to command a regular place in the England team, but his skills might be appreciated in the misfiring England rugby union team judging on his penalty of Chris Waddle proportions last night. 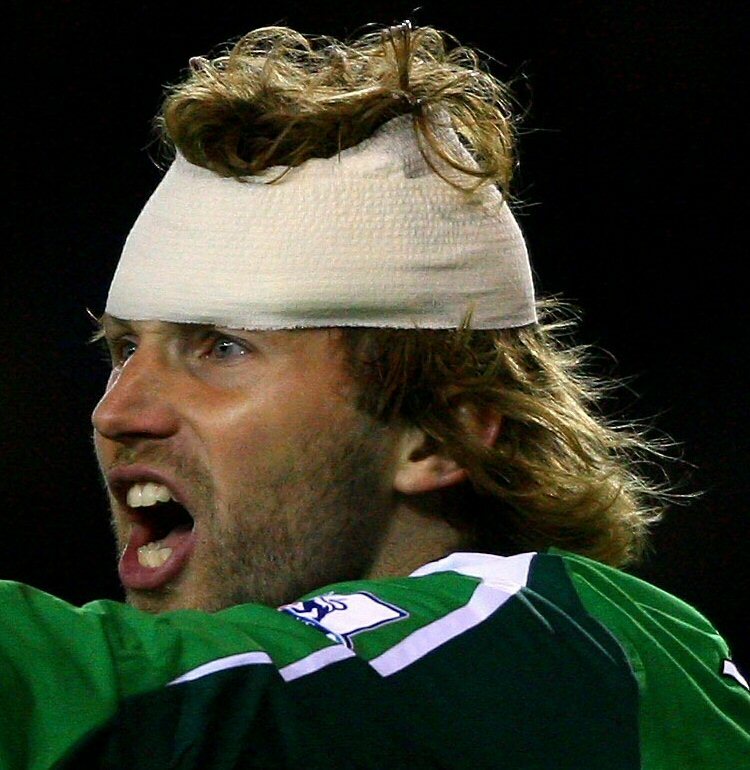 Johnson, having already had a penalty saved, sent his spot-kick to row Z against Metalist Kharkiv in the Uefa Cup. The match ended 1-1. Cesc Fabregas finally found a breakthrough, despite an excellent performance from Manchester City goalkeeper Kasper Schmeichel. The young Dane made a string of saves, including Robin van Persie’s 65th minute penalty. 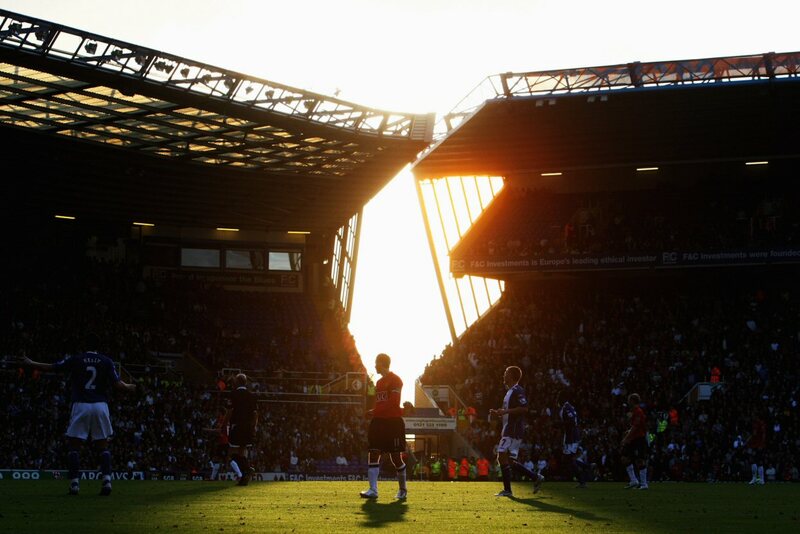 Everton piled the pressure on Spurs boss Martin Jol with a 1-3 victory at White Hart Lane. Joleon Lescott headed Everton into an early lead after losing ‘marker’ Anthony Gardner. Gardner returned the favour by exposing Lescott’s slack marking to equalise. 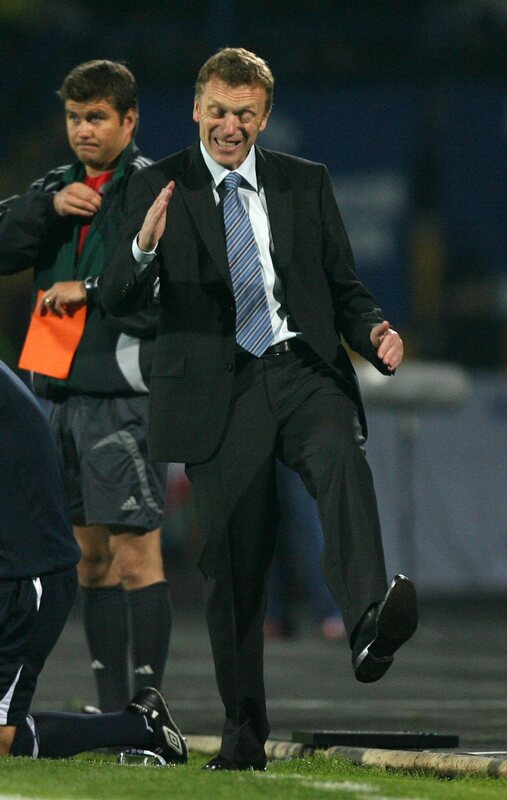 A second goal of the season for Leon Osman and a deflected free-kick from Alan Stubbs completed the victory. The big kick-off is nigh and we don’t have a thing to wear. Well, we do now. This is part one of a bumper Kit Parade Special from Pies. This looks a little familiar… wait a cotton picking minute! Yes, Arsenal have retained last season’s home kit for a further season. 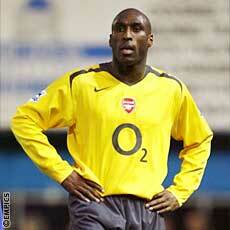 It makes my job a bit harder because you have all seen it before, but I’d be delighted if I was a Gooner. Comiserations to the parents of young Arsenal fans who will have to think a bit harder about birthday presents this year! Click here to buy it from Kitbag. With Fergie refusing Liverpool’s Â£6.8m bid for Gabriel Heinze and claiming United would ‘never’ sell to their bitterest rivals, we take a look at a few transfers that have taken place between clubs with a history of hatred. Everton have been forced into an embarrassing backtrack after their website mistakenly announced that the club had signed Argentinian star Juan Roman Riquelme. The article was supposed to be test data for a new website but it was accidentally published yesterday. The ‘news’ broke at 11.30am yesterday and was online for about an hour before the error was spotted. 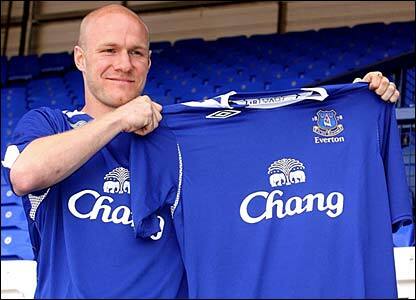 By that time internet forums had been flooded by messages from excited Evertonians. 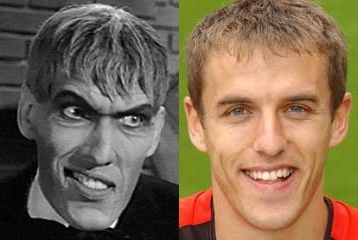 Having come up trumps with the Dirk Kuyt/Hercules axis of blondeness, regular Pies reader Cole continues on a lookalike tip with this sterling effort – Phil Neville (left) and Lurch (right), the butler from the Addams Family, could be father and son.